Errol: Ok, I admit, this is not true at all. Debs has no money for me to take. But her frustration with me? Oh, that’s real. 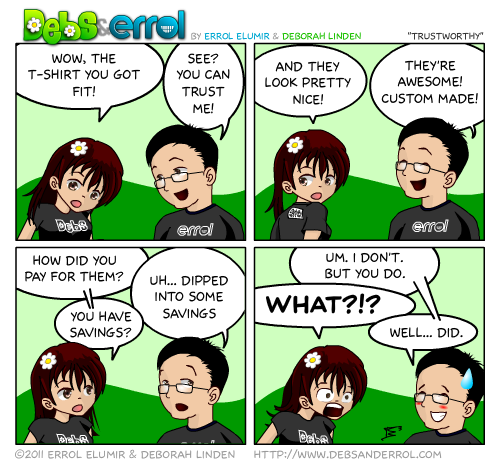 Debs: That is SO not true, Errol. You know perfectly well I made $21.79 busking yesterday. Sheesh, don’t you even read my blog?